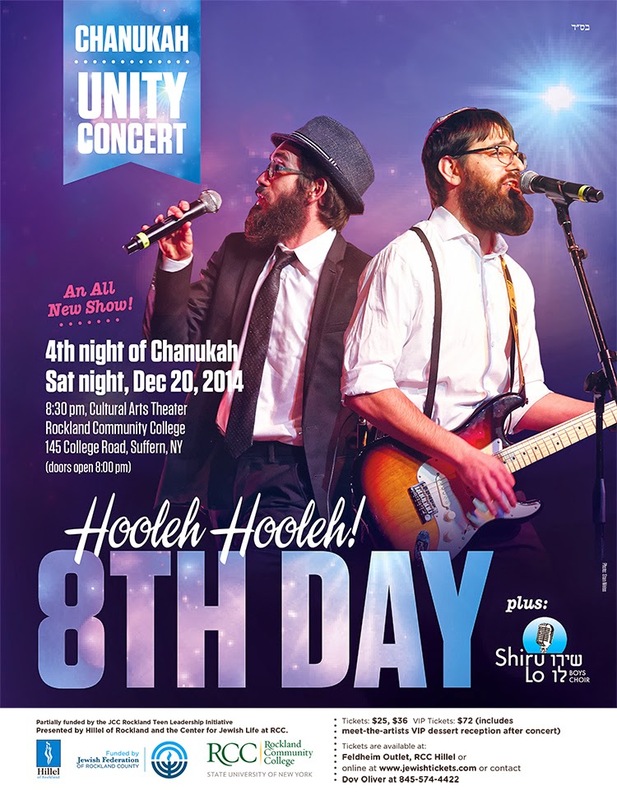 There is a pre-ticket sale for the Chanukah 8th Day concert at RCC until this Thursday night at which point tickets will go on sale to the general public. There are not many $25 tickets so you may want to get yours before they sell out. The seats will be given in the order they are bought. So for example those buying $36 tickets in the pre-sale will get the first row of that price category.